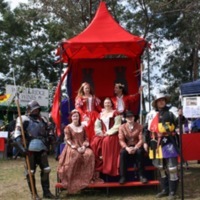 A photograph of the King and Queen of the Balingup Medieval Carnivale. 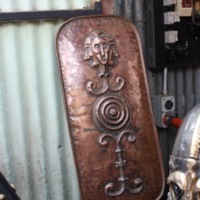 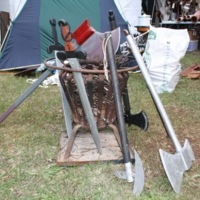 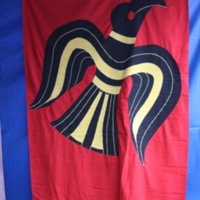 The royal couple, accompanied by members of their court and guards, took part in the parade each day and then sat in state in the royal tent in the combat arena. 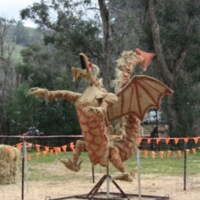 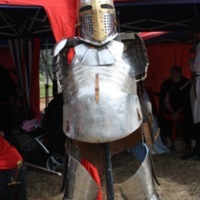 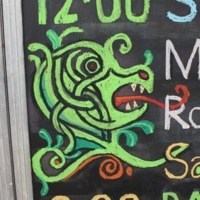 A photograph of the winged straw dragon in the combat arena of the Balingup Medieval Carnivale. 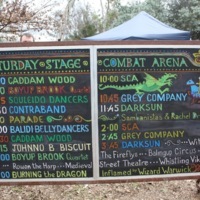 The dragon was set on fire in the Burning the Dragon ceremony which marked the end of the carnivale’s first day.